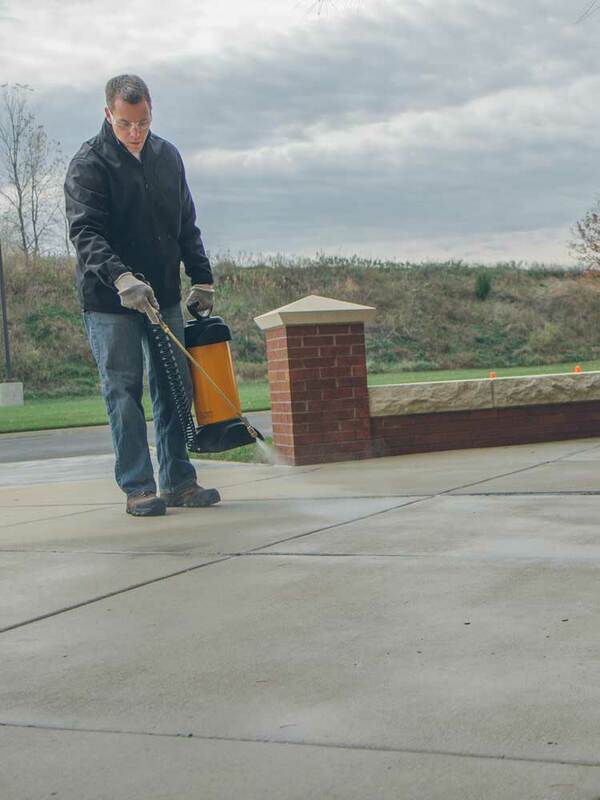 Saltguard is a solvent-based, general-purpose, silane/siloxane water repellent and chloride screen for concrete and masonry, including concrete block, and clay and concrete brick surfaces. 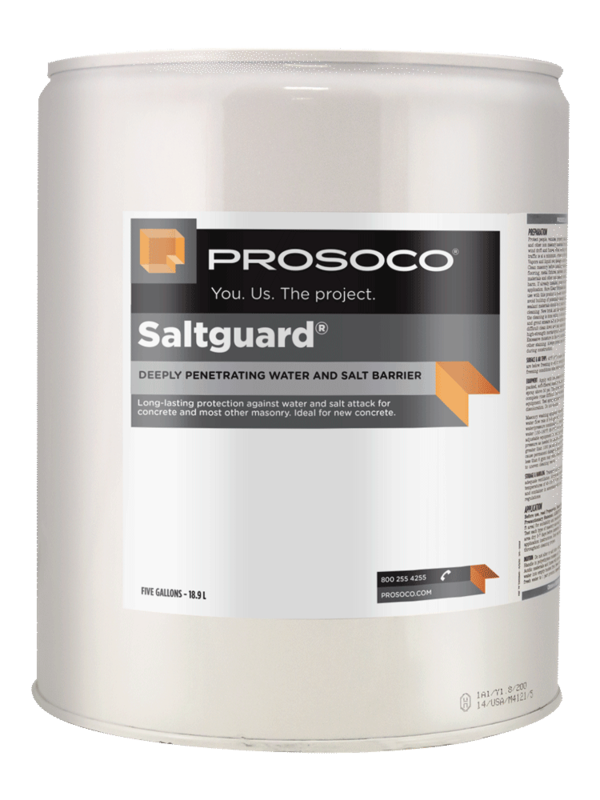 Saltguard protects horizontal and vertical surfaces from moisture intrusion and chemical attack of chloride salts, reducing rebar corrosion and surface spalling. 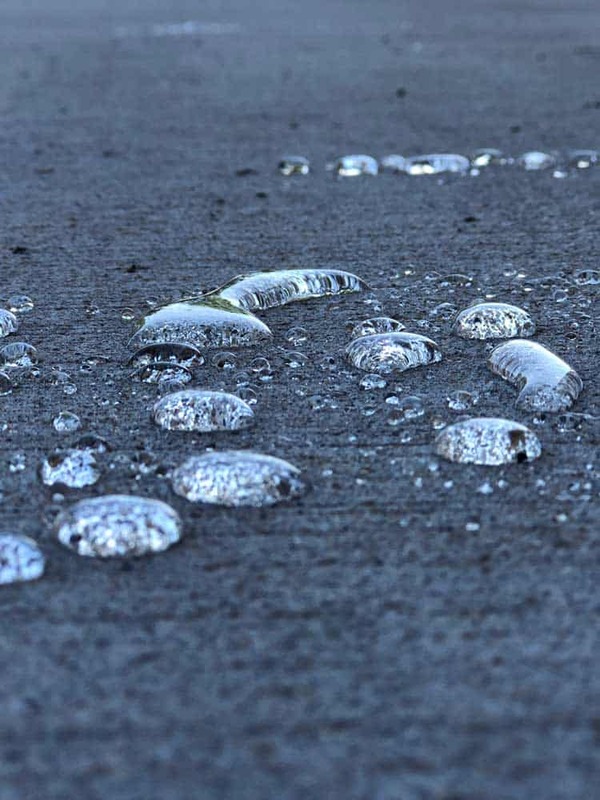 Non film-forming – won’t create a slippery surface. 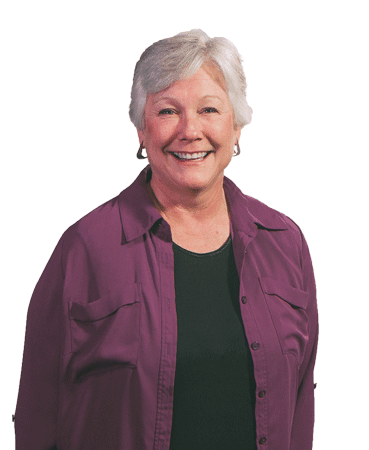 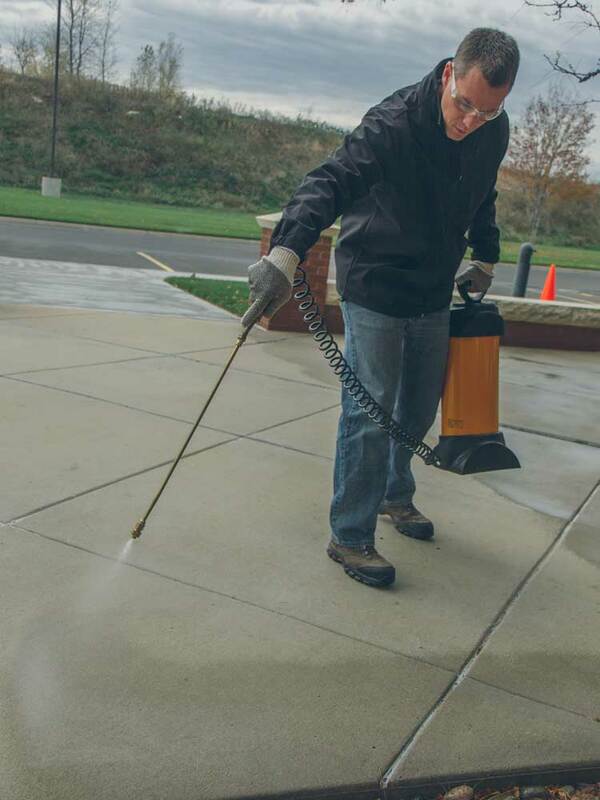 Effective chloride ion screen protects against salts and salt air. 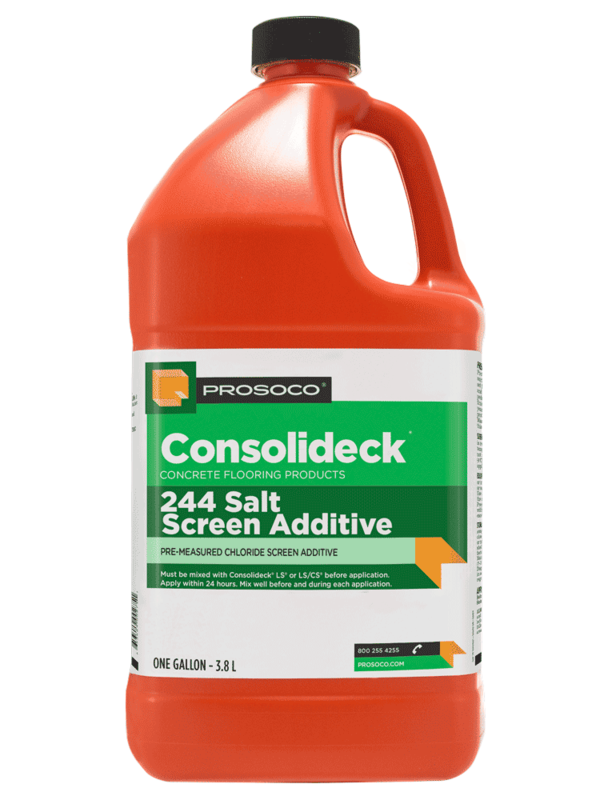 Alkaline stable – suitable for new “green” concrete, 14–28 days old. 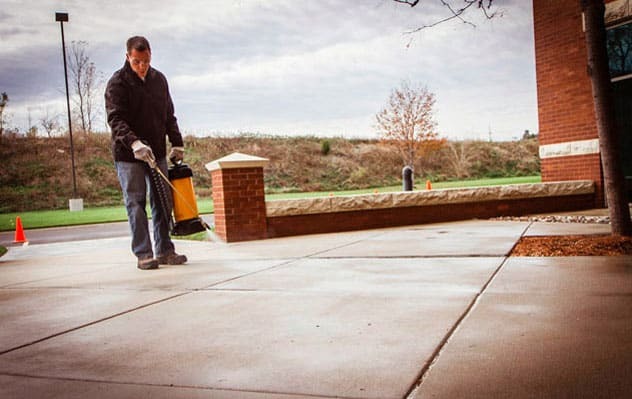 Saltguard may be used on horizontal surfaces such as sidewalks, tile and brick pavers. 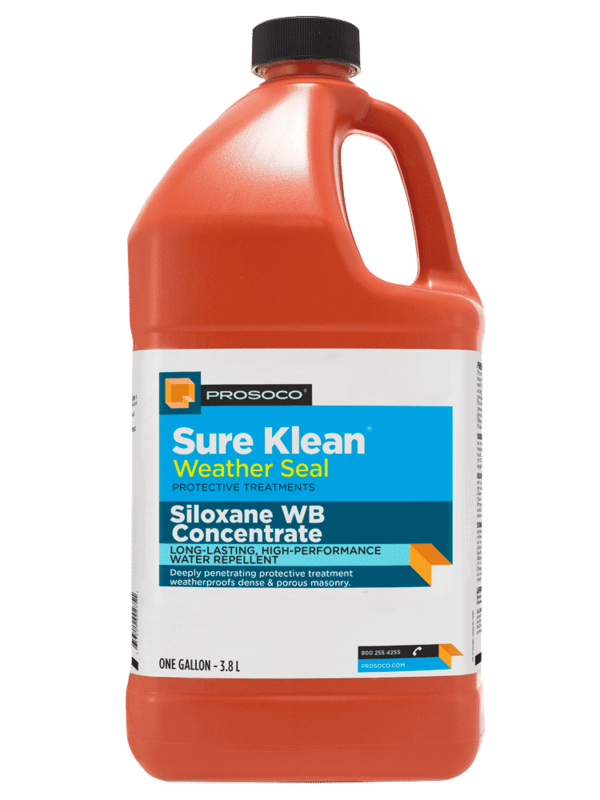 The low-odor formula also provides excellent protection for retaining walls, bridge pilings and other vertical areas. 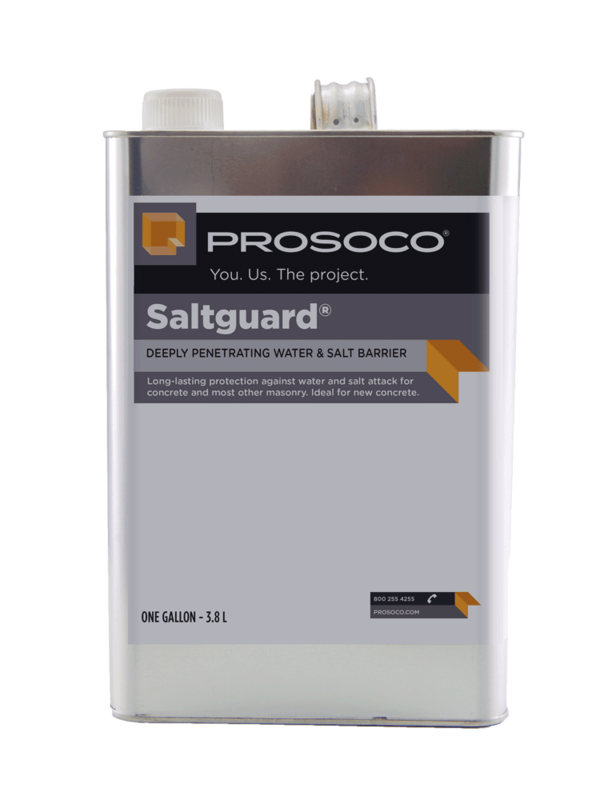 In coastal areas, Saltguard protects against salt air by reducing chloride penetration. 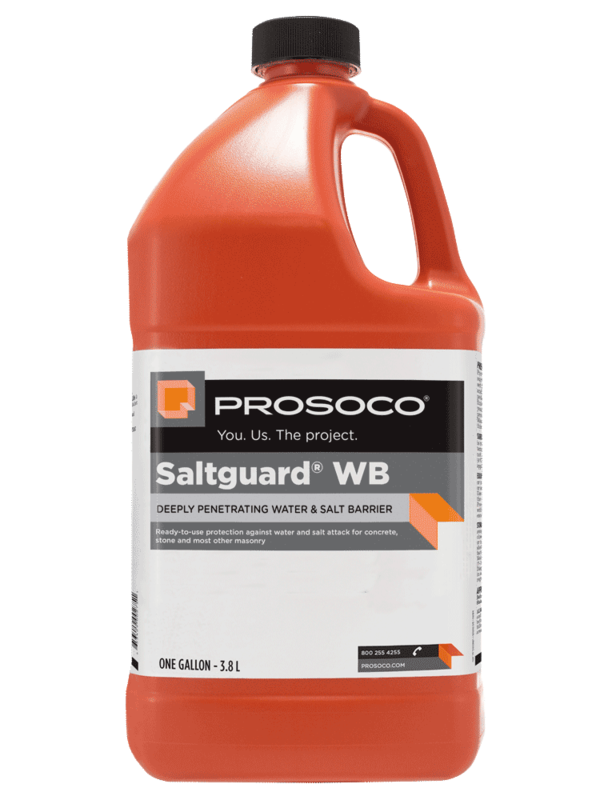 Saltguard also prevents deep-seated staining by mud splashes and other waterborne contaminants.